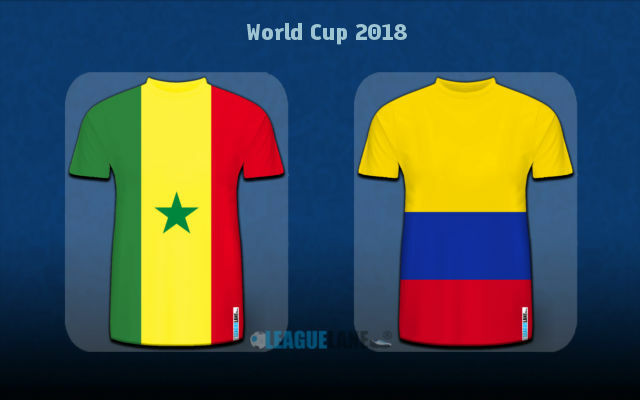 A real buzz is expected in and around Samara Arena on Thursday afternoon when Senegal and Colombia are set to face each other in a decisive third round clash. The African outfit are yet to suffer a defeat at the tournament and they will be happy with a point here, but getting one against the roaring Colombia will be a fairly complicated task. Colombia reminded of the team which reached the quarterfinal in the previous edition of the World Cup. Los Cafeteros bagged three goals in the thumping of Poland in the second round. Can they build on such display to see off Senegal and move on to the last 16 round once again? Senegal need a point to progress. Los Cafeteros faced a nightmare start to their World Cup campaign when their important central midfield man Carlos Sanchez was sent off as early as three minutes upon the whistle of the opener against Japan after handling the ball inside his own penalty area. Colombia were thus a goal and a man down with a whole game left to be played. They lost the match 1-2 at the end, but only to respond in an extraordinary fashion on Sunday when they stormed past the struggling Poland 3-0 to get their WC campaign up and running. Jose Pekerman was in doubt between having James Rodriguez and Juan Quintero in the starting line-up. Having two completely opposite creators on the pitch at the same time was a huge risk, but the Argentine manager decided to gamble and it well paid off with Los Cafeteros producing one of the strongest showings any team has produced so far in the tournament. They will thus head into the crucial affair with the lone African team remaining in the competition high on confidence which is why most experts see them as favourites to back up such a brilliant display. Stoke City’s Mame Diouf gave place in the starting line-up to his teammate Badou Ndiaye in what was a 4-1-4-1 formation from Aliou Cisse. It was the lone change in the Senegalese side from the first match against Poland. Interestingly, West Ham’s Cheickou Kouyate was once again left out as Cisse clearly has more belief in Alfred N’Diaye. Senegal did not lose a single match which saw Sadio Mane find the back of the net. (9 wins and 6 draws in the process). Right-back Moussa Wague became the second teenager to score a goal at the World Cup (after Kylian Mbappe of France). 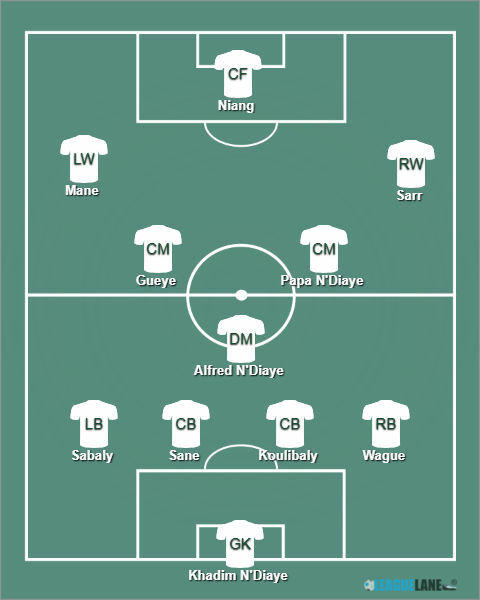 Khadim N’Diaye – Wague, Sane, Koulibaly, Sabaly – N’Diaye – Sarr, Ndiaye, Gueye, Mane – Niang. Pekerman decided to introduce James Rodriguez after the 2014 Golden Boot award winner only came on from the bench in the opening fixture against Japan. Other than this, the Argentine manager gave chance to Abel Aguilar to replace Carlos Sanchez as a defensive midfielder. Sanchez will be back after suspension here and we can expect him in the starting XI. Also, Wilmar Barrios is again expected to start instead of Jose Izqueirdo. 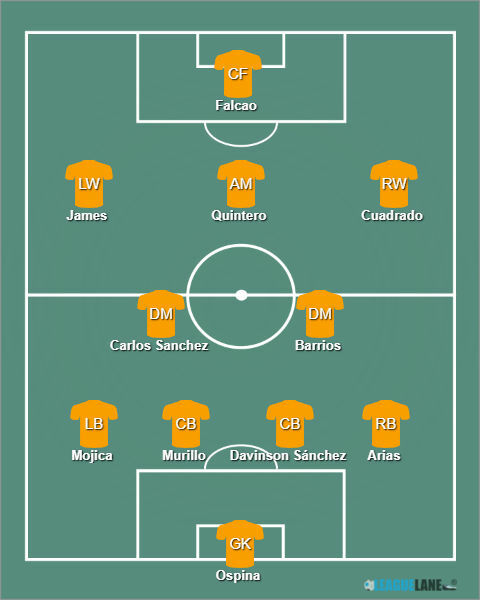 Ospina – Arias, Mina, Davinson Sánchez, Mojica – Carlos Sanchez, Barrios – Cuadrado, Quintero, Rodriguez – Falcao. The two sides locked horns only once in the past. The clash happened four years ago, serving as a preparation for Colombia ahead of their campaign at the Wop5rld Cup in Brazil. Colombia went on break with a two-goal cushion back then, but Senegal avoided a defeat thanks to two goals within seven minutes after the interval. Aliou Cisse could regret wasted opportunities and sloppy reactions from his back line in the clash with Japan. Senegal were ahead on two separate occasions on Sunday, but they ended up with only a single point in their pockets allowing Samurai Blue a quick comeback both times. Their defensive line was generally very tough to break down in both qualifications and pre-World Cup friendlies, but it fell apart when Cisse and the entire nation needed it most, four days ago against Japan. The Senegalese defense will be under a massive pressure here against the Colombians who have a deadly attack led by Monaco’s Radamel Falcao who scored his maiden World Cup goal in a beautiful manner against Poland. James Rodriguez and Juan Quintero cooperated perfectly in the attacking midfield, while Juventus’ Juan Cuadrado was tireless on the right flank throughout the entire 90 minutes of play. It’s really hard to predict anything else but a victory for Colombia here. You can back the Coffee growers to win at the 1.90 odds. Once Los Cafeteros bag the opener, we can expect Senegal break the deadlock, we can expect the Teranga Lions pushing for the leveller and leaving plenty of space to super dangerous counters of Colombia’s. Therefore, we will thus alternatively go for the value and back Colombia to win by two or more goals at the 3.30 odds. Predicted Full-Time Result is a comprehensive victory for Colombia. Colombia to win @ 1.90. Colombia -1.5 handicap @ 3.30. Correct FT Score: 3-0 Colombia @ 17.00.